Blackwater takes flight from the first notes. 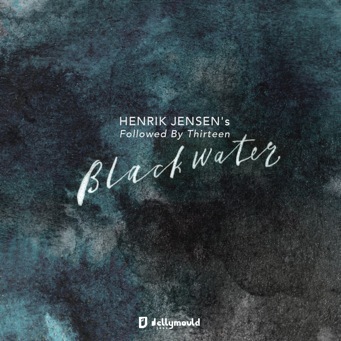 8 lithe and subtle compositions by Henrik Jensen, written for the individual voices of Followed by Thirteen, has produced an album that is a compelling and repeat listen. Forming in 2010, Followed by Thirteen released its debut album Qualia in 2013 also on Jellymould (see here). Blackwater takes off from that first distinctive album, with a more sophisticated reach and depth in composition, which enables a rich and dynamic rapport between these four distinct musicians. Here is a quartet of players which truly encapsulates the cultural diversity and vitality of the London jazz scene – with varied influences and backgrounds – that nevertheless nods clearly to the jazz tradition and Jensen’s inspirations, from Thelonious Monk through to Drew Gress’ quartet of the same line-up.